My wife Trina and I sold our house in El Segundo through Alex, and it was a great experience all around. His recommendations on asking price ultimately proved to be accurate, and he guided us expertly through the process of preparing the home for sale. He connected us with some excellent contractors who helped us to repair some things so that the property would be move-in-ready for the new owner, and he hired an excellent staging company which helped us to present the home in its best light. At every stage of the process, Alex was great at communicating with us, keeping us informed on progress, and educating us about the process as we went along. In the end, we sold our home to a lovely couple with two young children. The entire experience was positive, and was as low-stress as a house sale could be! We definitely recommend Alex for your next home sale or purchase. My husband and I initially met Alex while trying to find a home for our family. Both Alex and his daughter Amie were such attentive, kind people and to top it off they offered comprehensive support and understanding of the market. After purchasing our home we discovered some water issues that were believed to be solved. I immediately contacted several people who had dealt with these problems, prior to our purchase. To our disappointment no one was willing to take responsibility. Alex contacted me and offered to cover the cost of the repair. We were so pleasantly surprised to find such a considerate and respectable person in this sometimes seemingly unjust world. Not only did Alex personally step up to the plate and cover all costs associated with the water issues he also had the check delivered to our home within hours. We are very impressed by Alex on both a professional and personal level. He’s definitely the agent willing to go above and beyond the call of duty and the one we would recommend to friends and family. 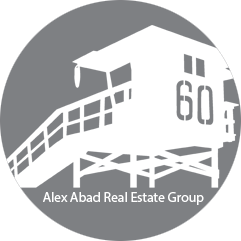 Alex Abad and his daughter Amie Schneider are the most well respected realtors in the South Bay. Their reputations for being honest, straightforward, thoughtful and very well connected to the families of this area are part of what make them both outstanding realtors. I met Alex in 2015 when I responded to an ad for a rental house in El Segundo. We were new to the area and had decided to rent a house here before we made the big decision to purchase a home. At the time we were living in Marina Del Rey and our kids were going to private school in Santa Monica. We didn’t know anyone in El Segundo, but we had heard such impressive things about the safety of this small city, the great schools and the friendly vibe that we wanted to give it a try. Alex immediately made us feel positive about our decision and went out of his way to graciously introduce us to the people in the community who had school aged children and to include us in events so that we could start to make connections here. Within the year we were able to purchase a home in El Segundo. Alex’s ability to show us houses that were just coming on the market was part of our success in purchasing a home we love. It is very competitive in the South Bay and without someone on your side who is truly trusted by the community it is very difficult to purchase a home. He also had great contacts with mortgage brokers, contractors and house inspectors. He made the entire process really seamless and easy. Our children love the Elementary school and the Middle School and we have shared many special occasions with Alex and his family. We truly consider Alex, his wife Doreen and his daughter Amie and her family to be one of our greatest blessings in El Segundo.